Next-level fitness and admin apps? Check. A sleek design? Check. A battery that just won’t quit? Double check. 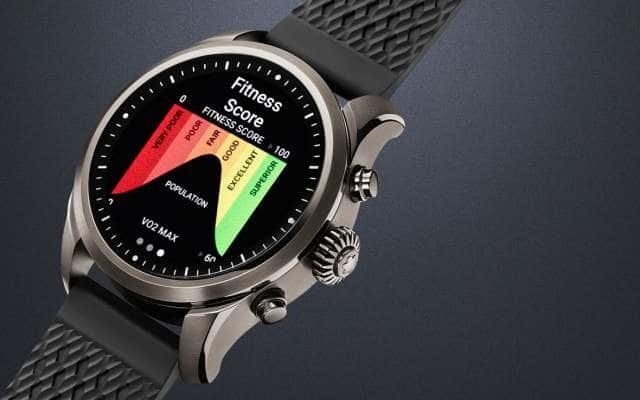 At first glance, the Montblanc Summit 2 smartwatch might just be the ultimate piece of tech to help keep your busy life on track. It’s basically like having your own admin assistant… on your wrist. The watch features a compact unisex 42mm case size, so you get flexibility when it comes to the wrist fit. And if you lead a busy lifestyle, its digital features will blow your mind. Always wanted your own secretary? Oh hello. The built-in Google Assistant takes care of literally everything – from managing your diary to keeping you on top of important info related to your flights. If that’s not enough to impress, your travel admin is about to get a whole lot easier with the exclusive, built-in Travel Info app, designed to provide you with location-specific info when you’re jetting across oceans. This beautiful piece of arm candy is powered by advanced tech that kinda feels like the equivalent of superpowers. Seriously. Think: better watch performance, more flexible displays and much longer battery life (you can get around four to 12 hours more runtime from this guy, depending on what you’re using it for, obvs). Oh, and whether you’re using an iOS or Android smartphone, it doesn’t matter – the Summit 2 can be paired with either device. It has great activity-tracking features… plus a whole lot more. It’s got a heart rate monitor, altimeter and accelerometer. Plus: It’s water-resistant up to 50m! The Running Coach app allows runners to track fitness levels, while the integrated GPS allows navigation and more precise fitness tracking, even when you’re far away from the phone. Google Assistant dishes up proactive, personalised help (think: info on your flight status or upcoming reservations). The cool new Timeshifter® app offers personalised advice to minimise jet lag. The app takes your sleep pattern, chronotype, itinerary and a range of other personal preferences into account, then sends you advice notifications to help get sleep issues under control. The Travel Info app provides relevant local traveller info, including direct translations from a bunch of languages directly to the watch’s display. And… it’s just so pretty! The new Summit iteration offers several design expressions, from the classic elegance of 1858 and vintage sophistication to the sporty styles designed for peak performance. The design is sleek and comfortable to wear. The different case finishes — black DLC steel, stainless steel, bicolour steel and titanium Grade 2 — can be combined with 11 (yes, 11!) different interchangeable strap options, including calfskin, Milanese steel, rubber sport and nylon, to create a total of over 70 000 looks. Each timepiece is fitted with a rotating crown and two additional programmable pushers. So — no need for more than one watch. Like, ever.